When converting an existing texture to a displacement map sharp edges can be lost due to the nature of the displacement conversion process. 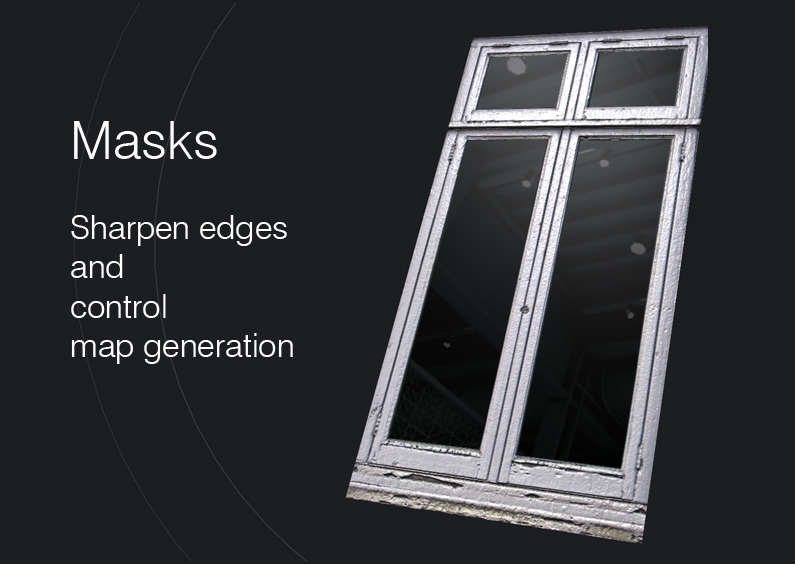 Take a look at the window example below. The diffuse image is converted to displacement then the displacement converted to normals. 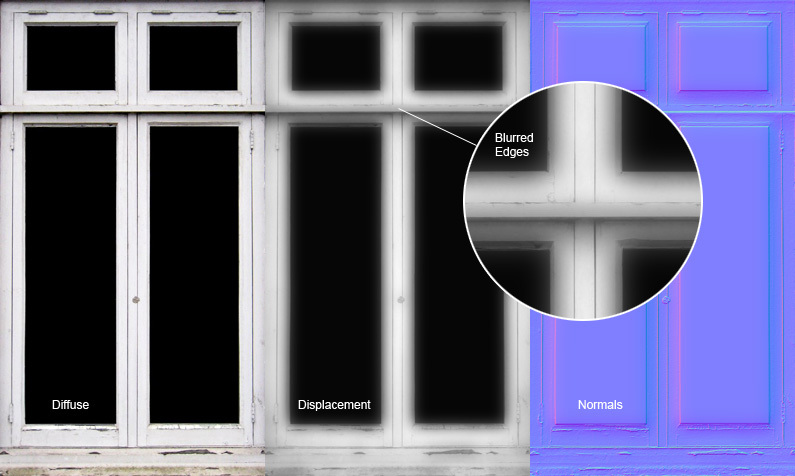 There are obvious sharp edges at the window frames in the diffuse and yet the displacement map causes blurring along these lines. The blur continues into the normal map which makes for warped window panes when they should be flat. To overcome this problem, ShaderMap allows the user to load a gray-scale mask image. The mask simply tells the displacement and normal map plugins what pixels to process and at what intensity. White mask pixels are processed completely, black pixels are not processed at all, gray pixels are processed to a degree measured by the intensity of the pixel. To add a mask to a specific map, such as displacement, click the “Load Mask” button located at the top of the map properties panel. Once the mask is loaded it will be resized to fit over the map so care should be taken that the mask is the same size as the map to which it is applied. 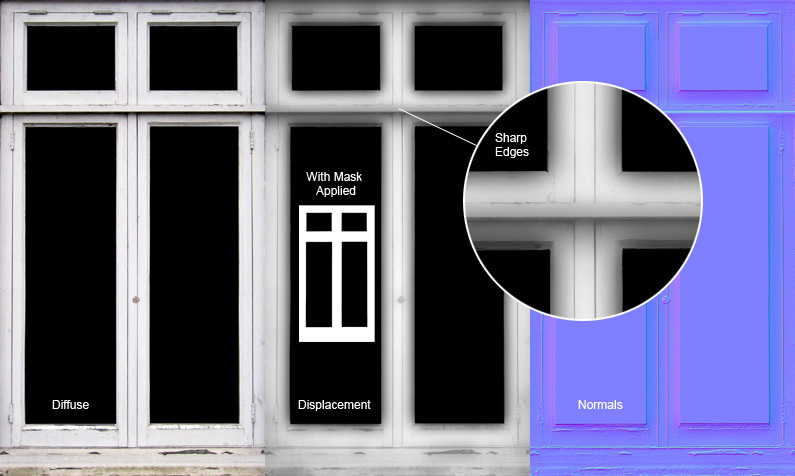 The result of adding a sharp edged mask to the above window example is shown below. You can see the resulting normal map is now correct and has sharp edges and flat normals where the window panes are at. Use the same mask image to further sharpen the normal map by loading it as a mask on the normal map node.